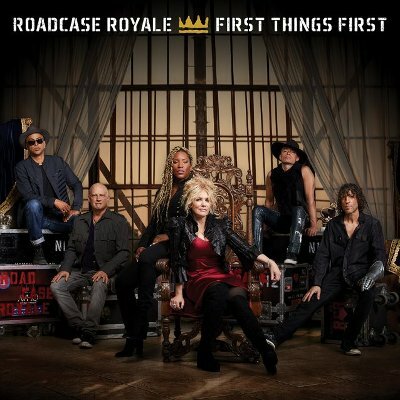 As long as the future of Heart remains in doubt, it's not a bad idea for Nancy Wilson to strike out on her own with her new band Roadcase Royale. Wilson has teamed with New Power Generation's Liv Warfield for the group which has signed with Loud & Proud Records and will release their first album, First Things First, on September 22. Sisters Ann and Nancy Wilson have not spoken to each other in almost a year after an incident at a Auburn, Washington show where Nancy had Ann's husband Dean Wetter arrested for assault after he allegedly attacked Nancy's twin sons who had inadvertently left an SUV door open. Nancy announced the formation of Roadcase Royale in January and the pair toured with Heart members Ben Smith, Dan Rothchild and Chris Joyner along with Ryan Waters. Wilson said "Roadcase Royale is a band I've always wanted to be in. We all write and create songs as a unit. It's an inspired democracy. Liv and Ryan both bring a whole new level of magic to our new sound. I'm amazed after devoting my life to rock music how it now feels so brand new. That's why our first album is called First Things First." Tom Lipsky, president of Loud & Proud, added "Nancy and Liv are magic together, and the musicianship is outstanding. The interesting blend of talents and influences is what makes Roadcase Royale special. Most importantly, there is a fire within this group to do something original, to feed off each other and explore new creative directions. It is exciting to see that kind of passion and drive in artists that have already accomplished so much. We are proud to be their label partners." A track list for the album has not yet been published. Roadcase Royale has a number of showcase performances over the next few months along with a tour opening for Bob Seger and the Silver Bullet Band.